Our company specialises in Air Conditioning and Refrigeration, from design to installation, service and maintenance with a high regard towards energy efficiency. 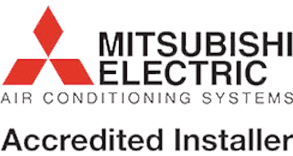 We're accredited installers of Mitsubishi Electric and Fujitsu Air Conditioning from single split to multi and VRV systems. We're able to make your company compliant with mandatory F-gas and Energy Performance of Building Directive Regulations. We pride ourselves in providing a high quality service by using experienced fully qualified engineers. All electrical work is carried out by JIB registered engineers to BS7671 standards. We would be pleased to discuss your needs without any obligation on your part. We provide refrigeration equipment and services to businesses and industry across the UK. Having accumulated decades of experience in both commercial refrigeration and air-conditioning we are very proud of our reputation for quality and reliability. "Brookes RAC were a godsend. They were totally professional, extremely clinical and finished-up on time and on budget. Thanks so much! It's surprisingly wonderful to deal with an excellent service and receive great support." "...we have used Brookes Refrigeration & Air Conditioning Ltd for air conditioning installation, service and maintenance. They have been able to provide all necessary accreditation to work at our site. All work undertaken by Brookes Refrigeration & Air Conditioning Ltd has been carried out safely, to a very high standard, completed in a timely manner and to budget.